D.C. police say they are increasing alcohol enforcement throughout the city for Sunday's St. Patrick's Day holiday. The department says it will be aggressively enforcing the city's laws against drunken and impaired driving. Officers will operate traffic checkpoints and other patrols. Police say they are also conducting patrols for underage drinking at bars and restaurants that serve alcohol. 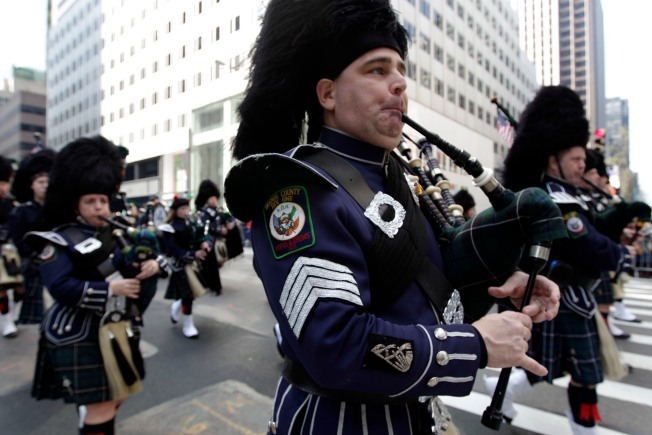 The big event of Sunday will be the District's St. Patrick's Day Parade, which will take place between noon and 3 p.m. along Constitution Avenue between 7th and 17th Streets Northwest. The Washington Regional Alcohol Program has announced that its SoberRide program will be offered beginning at 4 p.m. Sunday and continuing through 4 a.m. Monday. Customers 21 and over can receive a free cab ride home for fares up to $30 by calling 1-800-200-8294. For more information on participating cab companies and where rides can be called for, click here.